Caribou Digital turns five years old this month. We started small, with just a handful of consultants working on early projects: a mix of access business models, supporting larger projects, and some user research. 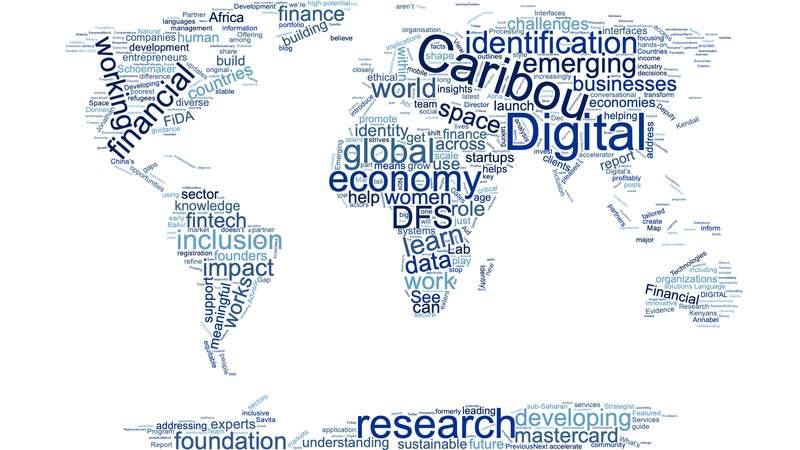 We started Caribou Digital because — outside of organizations we admired, such as Bankable Frontiers Associates, VitalWave, ResearchICT Africa, and MicroSave — we didn’t find enough meaningful, current, and accurate insight into how digital economies and societies were developing in emerging markets. We’re eternally grateful that, thanks to early and significant support from great clients, including the Mastercard Foundation, the Bill and Melinda Gates Foundation, DFID, Omidyar Network, and others, we’ve been able to dedicate the past five years to this mission. While 2019 is a rapidly changing digital world, 2014 felt very different. Different elections, different technological challenges, etc. Perhaps some of that era’s enthusiasm about technology’s role in society has dissipated, but the urgency surrounding the challenges of digital inclusion and the transition to digital economies has never been more palpable. We’re documenting our evolving thinking, and some of what we’ve learned, into an admittedly arbitrary, compounding list of five things for the next five years. Please note that, while we could have condensed these into a single key topic or expanded into ten or twenty points, our fifth birthday provides a welcome structure. They’re summarized below, but over the coming weeks we’ll expand each into a longer blog post. 1 — Digitization is changing the world so philanthropy and development must change too. Most digital development projects still exist in sectoral silos and/or are driven by a relentlessly optimistic approach to “connecting the last billion.” This is despite all the evidence pointing to the significant crosscutting — both negative and positive — impacts of digital technologies on economies and societies as the excellent 2016 World Development Report report on “Digital Dividends” laid out. So why is the development industry so slow to change? Development tends to love binary problems. You’ve either had a polio vaccine or you haven’t. You’re either earning above the poverty line or not. We can agree on evaluation processes that provide detailed data to prove the success of our programs. We can use Randomized Control Trials to prove the effectiveness of our solutions. Once we’ve created a binary problem we can quantify the challenges we face in terms of large numbers that play well as shareable social media assets. The last billion, etc. For these reasons, development organizations and foundations wishing to engage with digitization have to avoid simple binaries such as advocating for closing the digital divide. They will need, instead, to engage with complex, nuanced concepts around agency, literacy, power, and structure in the digital age. 2 — Digital access is necessary but not sufficient for prosperity. Connectivity is a prerequisite for inclusion in the global information economy and for the functioning of 21st-century states and institutions. But connectivity is not enough in and of itself. We must champion it, and groups like the Alliance for Affordable Internet are to be commended, but we can’t expect cell connections or social media or even a piece of online accounting software to kickstart development on their own. These are tools, the underpinning structure on which prosperity can be created, but they are not themselves drivers of prosperity. We are, as a firm, tired of simple equations that show if you connect X number of people to technology Y you achieve Z% increase in GDP. We’re bored of reading business models that use US-centric assumptions about the attention economy to predict that we can end poverty by giving everyone control over their data. We are equally sceptical of simplistic discussions around the potential income benefits of digital connectivity and digital work. That’s not to say we should throw these arguments out completely. Digital work will undoubtedly provide new incomes and increase the quality of livelihoods for many, but, even in the US, JP Morgan has shown that the average Uber income dropped 53% between 2013–2017 as the platform matured. How will gig-work platforms grow and change in other markets? There is clearly value in the data economy, but our own research on digital advertising in emerging markets shows how little poor people’s digital data is worth — Facebook’s most recent billion subscribers in low-income markets only earn around 50–80 cents per quarter gross income per user. And while we believe connectivity brings macro-level benefits, the WDR 2016 report was wise in pointing out that digital dividends cannot be realized without conscious effort. Digital has the power to unleash huge untapped reserves of human capital. Enabling this will require investment in digital infrastructure, but digital platforms — the glue that connects digital infrastructure and human capital — are sucking value out of both states and citizens. 3 — It’s harder, but we should aim for meaningful use, not simple inclusion. From digital financial services that encourage saving more than gambling, to social media platforms that encourage self-expression and connection instead of misinformation and acrimony, to online work platforms that allow for dignified and lucrative livelihoods rather than just micro-tasks computers can’t yet do, our clients and discussion partners are increasingly interested in examining and promoting digital inclusion that includes ethics, dignity, and self-actualization. We see a lot of this in our recent work with Omidyar Network and the Good ID initiative as well as in our work with the Mastercard Foundation on meaningful financial inclusion. Skills gaps and new definitions of digital literacy are coming into sharper focus as we discuss the future of work in the digital age. Digital literacy can’t be achieved by teaching a few more folks to code. In a world where literally everybody on earth needs to have a sense of how to interact with each other via platforms, we need to promote social and platform digital literacy, so that people know how to conduct their digital lives, from education and expression, to livelihoods and citizenship, safely. Even as the cost of Internet access drops, the ongoing project to create a world that supports inclusive and meaningful use will require many approaches. Of course, there’s there’s an interplay between startups, technological innovations, capital and the private sector. But the broader challenges are interdisciplinary, including psychology, sociology, political science, human computer interaction, economics, and ethics. 4 — The Internet is a lot less flat than any of us had anticipated but it’s still happening to everyone, everywhere, simultaneously. Power matters. Decisions made in Palo Alto or Seattle or Beijing alter massive swaths of users’ experiences. Markets are being platformitized. Yet the onus for change (and response) can’t lie entirely with individuals or their skills. What role should philanthropy, aid, and regulation play in shaping the structure of the Internet and the markets and social sectors that it shapes? We find MicroSave’s attention to gambling, the Fairwork Foundation’s recent livelihood standards for platforms, and CIS’s work on zero rating and net neutrality exciting and energizing. These conversations at the intersection of technology and governance are examples of critical pieces of the puzzle. Moreover, each illustrates the advantages of viewing technologies as embedded in systems that should work for everybody and the crucial role of understanding how regulation and policy help to achieve this. But sensible digital policy is notable in its absence. For better or worse, the traditional role of western policymakers in providing global leadership is struggling to keep up with the scale and rate of technological change. This stems partly from the changing nature of global politics, but the time gap between digital technologies being adopted at scale in the Global North and the Global South has collapsed, preventing the previous “direction of travel” of policy leadership. Outside of GDPR, the US and EU are doing no better at regulating global digital platforms than anyone else. When other countries see empty chairs in Congress and EU hearings where platform senior management should be sitting, it suggests we’re all on our own. Worryingly, parochial, or even authoritarian, regulation is a viable option in this vacuum of leadership. So while Uganda implemented social media and mobile money taxes, to detrimental effect, many countries have simply banned access to the Internet and services during elections or crises. Accordingly, some countries may find the restrictive example of China, which forces concessions from global platforms, increasingly attractive. 5 — The trinity of Smartphones, Satellites, & Sensors will open up our worlds, and we’re probably not ready for it. Speaking at an event at the excellent Andala Nairobi Campus earlier this year, we told the assembled programmers how lucky they were to see the world in a new way. We chose our words carefully — they see the world differently through phenomenal amounts of available data. We didn’t talk about data as the new oil or a new asset class, but as something that programmers and data scientists see. Accordingly we point to what they choose to see and what they don’t. We wanted them to understand that they make choices about what is seen and how data is processed. Smartphones, Satellites, and Sensors are opening up the way we see the world in whole new ways. On the one hand, they provide an enormous opportunity to establish more inclusive, holistic, and global approaches to understanding how humans connect to nature and to each other in socioeconomic systems. On the other hand, the flourishing conversations about the ethics of AI, bias in algorithmic computation in the Global North, must be brought into the development community. It’s critical that we focus on not just the data we can gather, or even on its potential, but rather on the choices we all make to deploy, process, interpret, and govern it. Each new network innovation — telephony, television, roads, internet, etc. reminds us of the interdependence between a network’s potential and its political economy: who is incentivized, who holds power, and who benefits from the buildout. A full treatment of the interdependency between private control and public good is well beyond the scope of this post, but it’s worth flagging that as sensors, imaging, and artificial intelligence augment the already amazing potential of the Internet we have today, how will these new capabilities be best capitalized into benefiting the public, not just in the Global North but around the world? Clearly these five reflections point to enormous challenges, and Caribou Digital is, five years on, still just one voice in what will always be a broader conversation. Nevertheless, we’re finding new ways to work, including via investments, placed with our partner the DFS Lab and by Caribou Digital itself, wherein we engage more directly with entrepreneurial founders applying technology to some of the developing world’s toughest challenges; via grant and challenge funds, managing programs in applications in space for development; and via in syndicated market research, where Caribou Data uses cutting edge anonymous market research tools, built from the ground up for privacy, to get a better sense of how markets, lives, and livelihoods are being transformed by digital technologies in sub-Saharan Africa beyond. We have digital DNA in our company. Zoom, the GSuite, Asana, and Slack have made it possible for the consultants on our projects to be based around the world. We are lean, BYOD, and flexible. But we also run on trust and relationships. Our project teams are in constant contact, working hard but also sharing elements of our lives with each other. Pictures of babies (and there have been several!) are a favorite, while some of the older kids have fashioned an intercontinental Slack channel of their own, heavy on the emoji. How we develop trust-based relationships with our clients is evolving too. We’re moving away from exclusively dropping PDFs on desks or online, electing instead to have conversations about the thorny transitions to the digital age and how it impacts the work we do in development and inclusion. In truth, we have no definite idea what the next five years will bring. But we know it will bring more excellent conversations with clients, with peers and partners, and most importantly with the people whose digital lives we try to shine a light on.